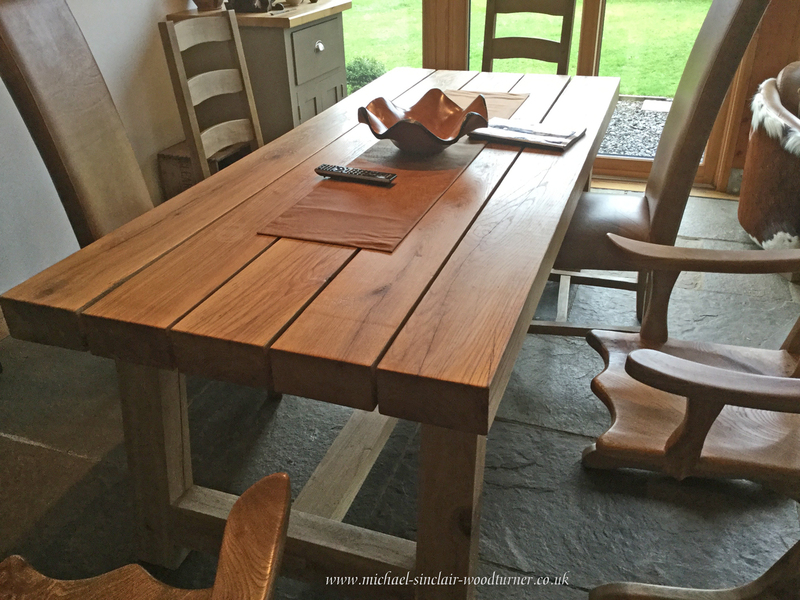 For several years now our dining table has been a beautiful waney edge elm table Michael made. As lovely as it is it is a bit of a challenge. 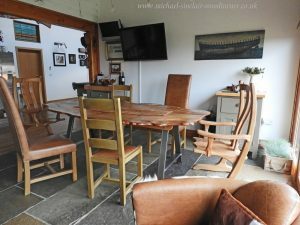 In a couple of seating places soup and or gravey are not an option, seriously wibbly. 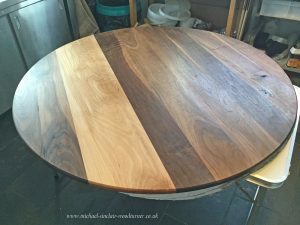 It also has waney edge in the middle and therefore a gap, so setting anything in the middle of the table was an issue too. After a lot of deliberation, we decided to replace it. Now at this point after helping them to fit a new kitchen Michaels daughter and her husband Mik & Ross were having bother finding a dining table to suit their new look kitchen/diner so daddy stepped in, timber was ordered (American black walnut) and a table was made. It’s beautiful, they love it and it fits perfectly in the room. 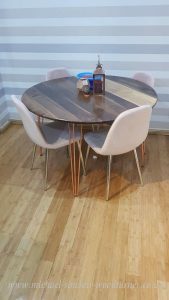 Mik ordered the chairs she had found and the look was completed. So why not make us one? well to be quite honest time was the issue he needed to get back on the lathe and as we love Indigo furniture in Derbyshire and they had a table we thought would fit our needs and had the look so we placed an order. As they make to order it has been a bit of a wait but it is now home. I would like to add in a big thank you to the boys at Little John Removals here in Orkney who collected and delivered it, IT WEIGHS A TON. Actually even with 4 people it was impossible to move from the van into the house so we had to dismantle it a bit. We love it. It fits in beautifully. 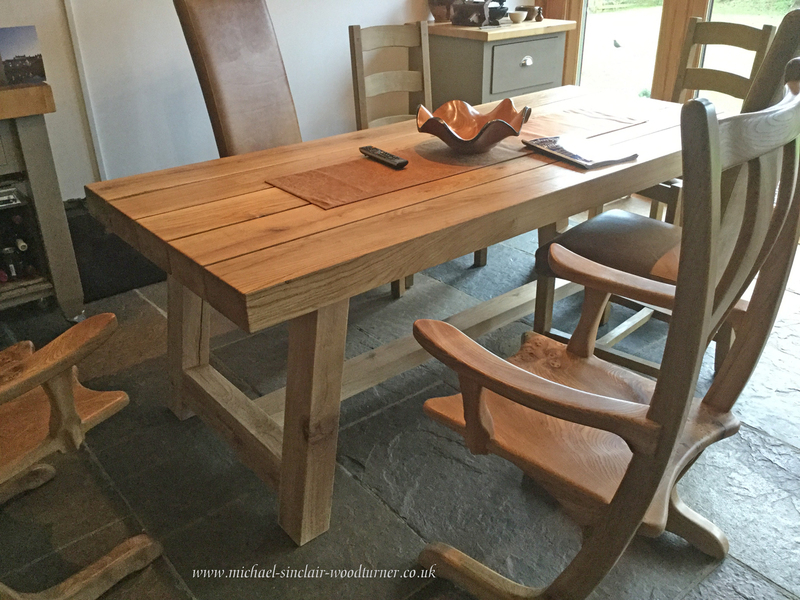 We have 2 carvers made by Rob Elliot and with our other dining chairs they all sit perfectly at our new table. We have an oak dresser in the same room which really compliments the look. 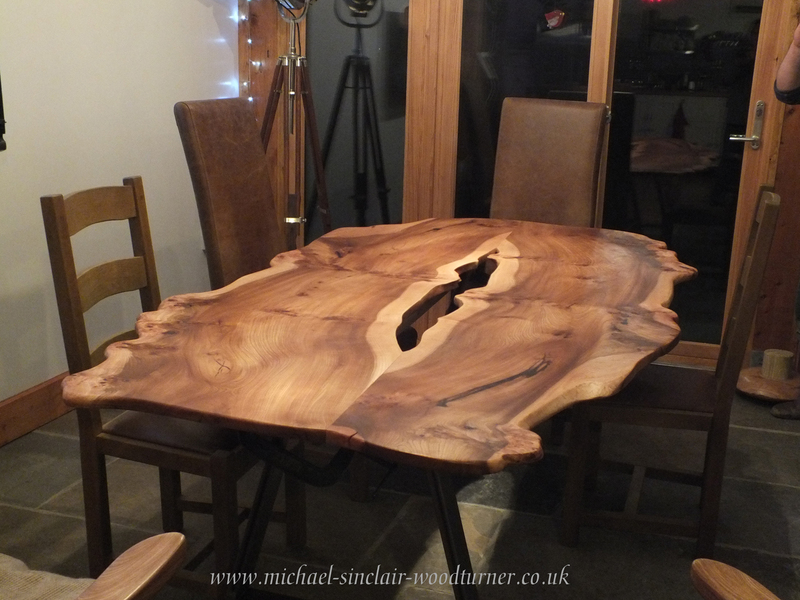 Very happy new dining table owners (an early Christmas present). We are now looking forward to lots of supper parties when we can serve whatever we like!! !